1 Luminette® Privacy Sheers, plus a $50 rebate for each additional unit. 2 Silhouette® Window Shadings plus a $50 rebate for each additional unit. 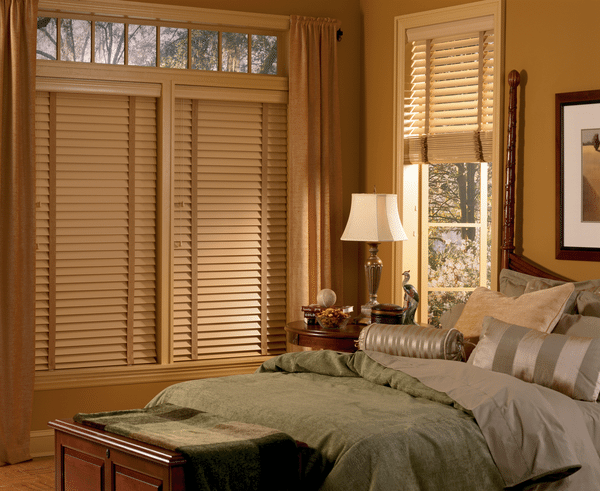 2 Pirouette® Window Shadings, plus a $50 rebate for each additional unit. Celebration of Style Savings Event ends June 24, 2019. Hunter Douglas has been leading the window coverings industry for over 50 years with their unique and stunning products, which bring together the premier features of the best blinds, shades and draperies available on the market today. With our fine selection of Hunter Douglas window coverings, you’ll have a large variety of options for privacy and light control, along with nearly unlimited decorating possibilities for fabric, textures, colors, styles, and advanced hardware systems. When people think of Hunter Douglas, they think of durable, low-maintenance, and energy efficient solutions. 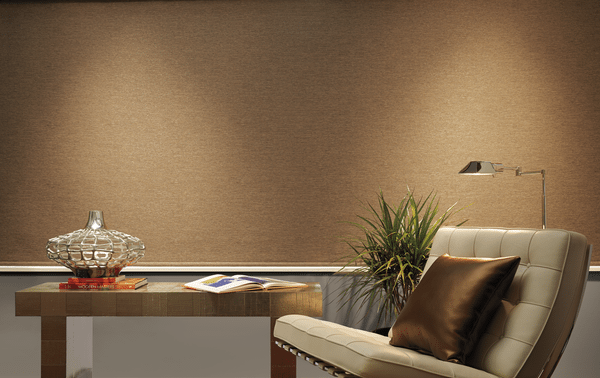 Hunter Douglas has an entire product line of energy efficient blinds and shades. Both Hunter Douglas Duette® Architella and Alustra® Duette Architella honeycomb shades are energy efficient helping you to reduce energy costs. 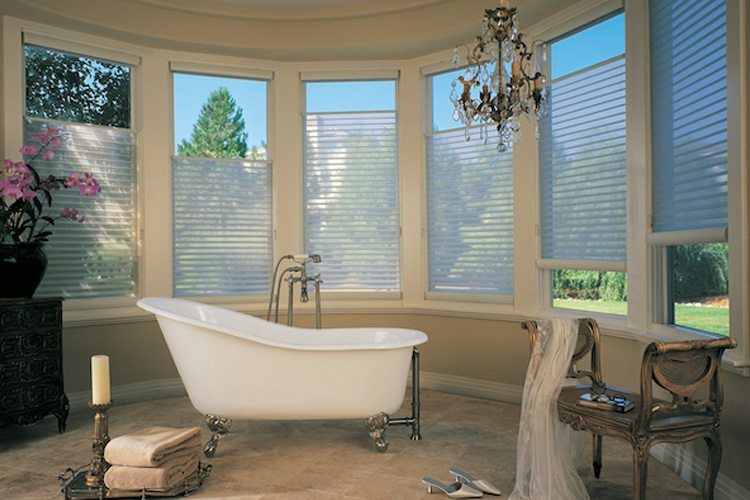 These window shades are also available in various colors and styles, exquisite fabrics and top-down, bottom up. 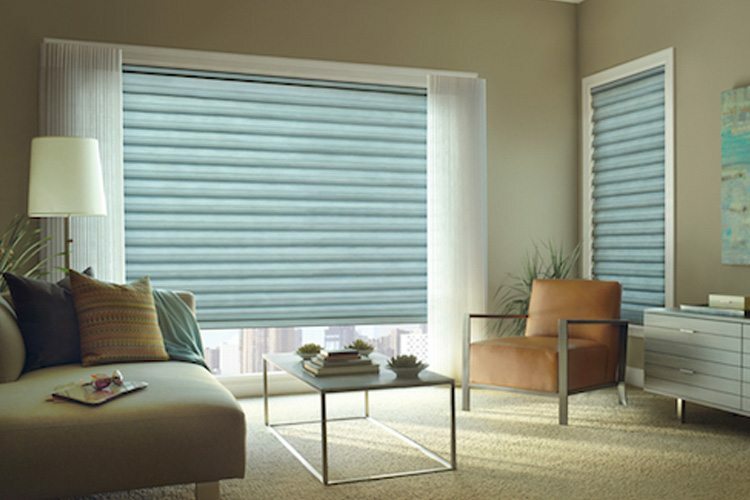 Ask about cordless honeycomb shades and Hunter Douglas PowerView® Motorized shades or SoftTouch™ Motorization. Control all the window shades and blinds in your home or office automatically using the Pebble remote control, iPhone, Android or home speaker devices such as Amazon Echo or Google Home. SoftTouch™ Motorization is an easy to use wand operating system. Just tap the wand up or pull down to move your window shades easily.Contact United Decorators at 718-253-9300 to schedule a Free demonstration of Hunter Douglas PowerView® Motorization or SoftTouch™ Motorization today. Contact United Decorators about the latest Hunter Douglas sales and promotions. Call 718-253-9300 or click the book now button to schedule your FREE in-home consultation. Pirouette® window shadings allow you to achieve infinite combinations of light control, view-through, and privacy. Soft horizontal fabric vanes float on a sheer fabric back panel that diffuses sunlight and transforms your space into a warm glow. The innovative three-dimensional construction of Pirouette® Window Shadings has no obvious cords to distract you from a beautiful view. Hunter Douglas Pirouette® Window Shadings add a striking look to any interior. 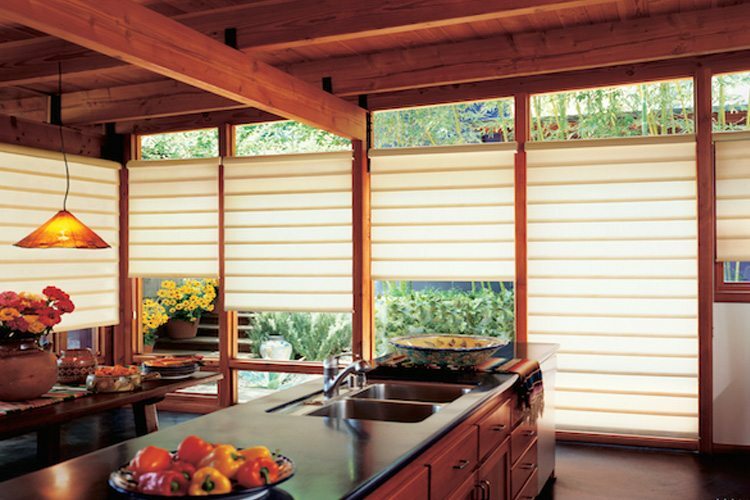 Duette®Honeycomb Shades are specifically engineered to be energy-efficient. Their unique insulated honeycomb construction traps air which helps keep your home warm in winter and cool in the summer. 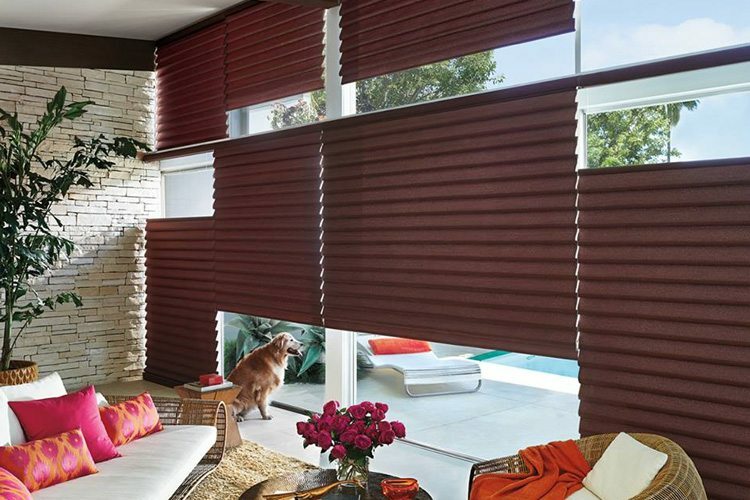 Duette®Honeycomb Shades are available in an expansive range of pleat sizes, fabrics, colors, opacities, and textures. Duette® Shades are available in single-cell design as well as a double-cell design. Duette® Archetella features a honeycomb within a honeycomb for maximum energy efficiency. You can cover windows and doors with Duette® Acrhitella and Duette® Honeycomb Shades. Use the Vertiglide™ operating system on large or expansive door openings that need extra insulation or cover your door side panels with a beautiful energy-efficient window treatment. 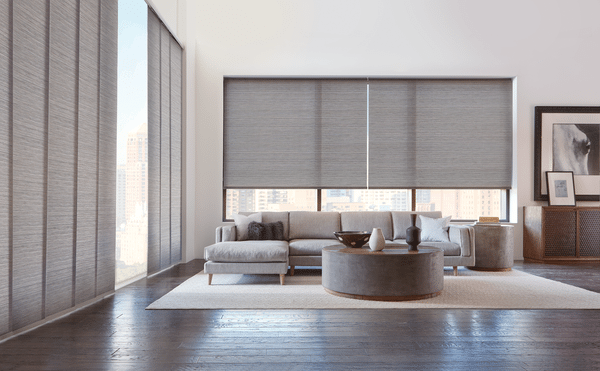 The soft, structured shape of Sonnette™ Cellular Roller shades combine the best properties of two Hunter Douglas window treatments, the clean lines of the roller shade and the innovative design of the honeycomb shades. Gently diffuse light without harsh lines with the semi-opaque fabrics or obtain optimum light control with the room-darkening options. 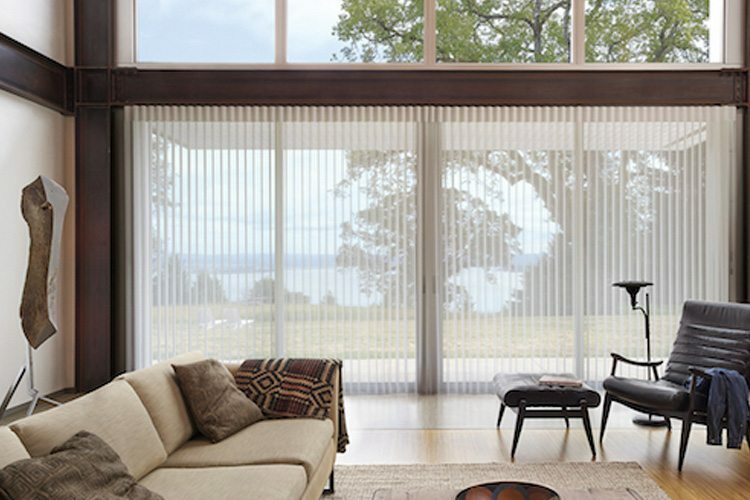 The unique Solera® Soft Shade displays fluid lines and the soft fabrics of a classic Roman shade, combined with the construction of the cellular shade. Compliment your individual design style by choosing from the collection of luxurious woven and non-woven fabrics, colors, textures, and patterns. 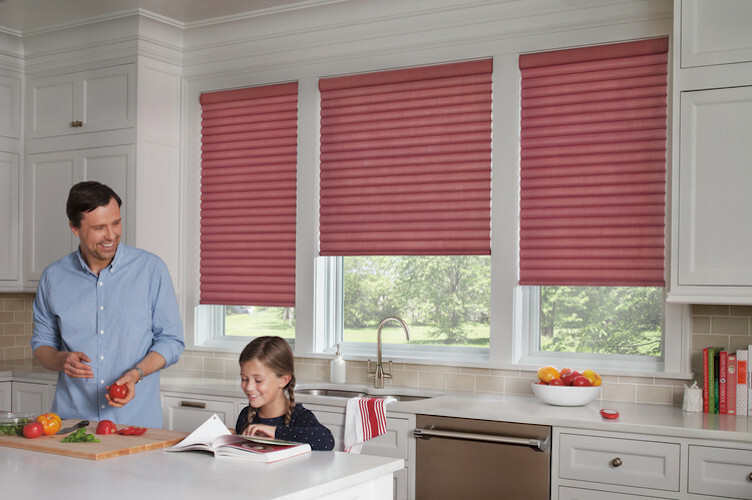 Solera® Soft Shades enhance child and pet safety due to their internal lift cords. Available in both light-filtering and room-darkening window shade fabric opacities. Luminette® Privacy Sheers combine a sheer fabric facing with vertical rotating vanes. Rotate the vanes open to obtain the desired illumination in your home. Utilizing the sheer fabric’s ability to disperse the sun’s rays into a soft light, direct the light where you’d like it, or close them altogether to enjoy complete privacy. The Hunter Douglas Designer Screen Shades are different from others on the market. Behold this strikingly beautiful blind with a streamlined design driven by a patented Custom Clutch system for exquisite performance. Engineered to deliver minimal light gap and quiet, flawless and smooth operation. Designer Screen Shades are available in many trendy colors and you can choose the view through you desire on the fabric. 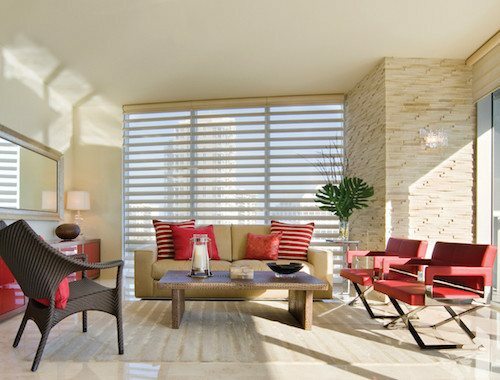 Sleek, modern aluminum slats offer great light control and a clean look on your windows. Ask about the various blind textures we offer at United Decorators. From metallic to matte, and everything in between United Decorators offers many different hues to compliment your space. 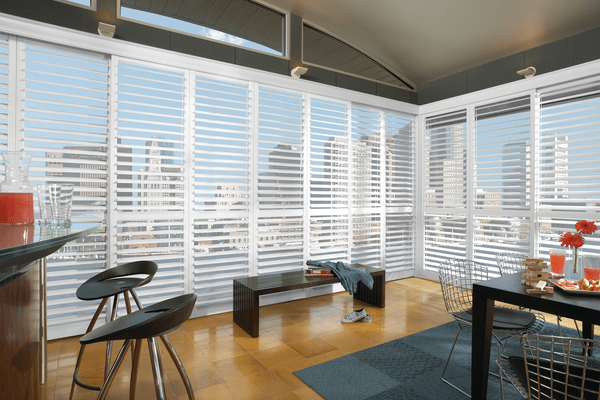 These horizontal mini blinds are sure to make a statement in any space. United Decorators can help you mix and match colors and textures to coordinate in your space beautifully. Ask our interior designers how to mix metals and wood within your space. 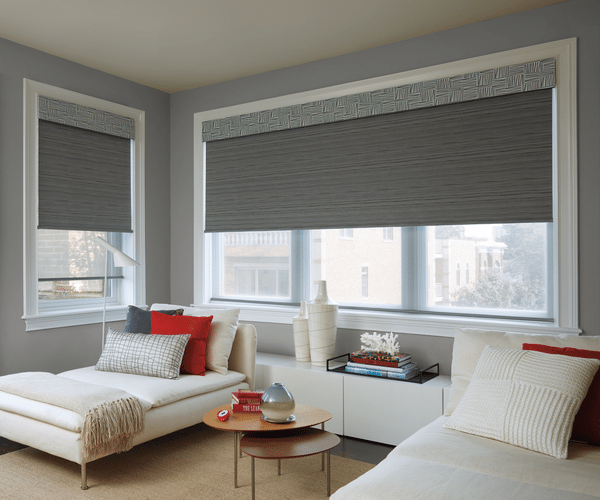 Vignette® Roman shades leave your window uncluttered with no exposed rear cords. Luxurious fabrics and soft folds make the Vignette® Roman shade the perfect alternative to traditional roman shades. The multiple fabric options offer both light-filtering and room-darkening opacities. Available in various fold sizes so you can make a dramatic, bold or elegant statement in any room. The Designer Roller Shade offers a versatile and sophisticated style that is suitable for both minimalist spaces and large expansive views. Combine a roller shade with custom drapery in a traditional setting or choose modern drapery fabrics to create a contemporary look. Choose from over 330 fabrics from sheer to opaque to fit your style. The Custom Clutch operating system makes Designer Roller Shades operate smoothly and with ease, with the smallest light gaps that the industry has to offer. Skyline® Gliding Panels feature clean lines for an urban contemporary look. When open, they stack tightly to offer the maximum view, and when closed, they display their stunning fabrics and texture. It is easy to coordinate the Skyline® Gliding Panels with your interior décor with over 600 roller and screen-style fabrics to choose from. Heritance® Hardwood Shutters use dovetail construction for maximum strength and long-term performance. These plantation-style shutters are crafted from genuine hardwood and are available in over 35 colors, or any custom color you can envision. The Heritance® Hardwood Shutters are the ultimate customer shutter for your home, with specialty shapes for sunbursts, arches, angles or horizontal louvers. 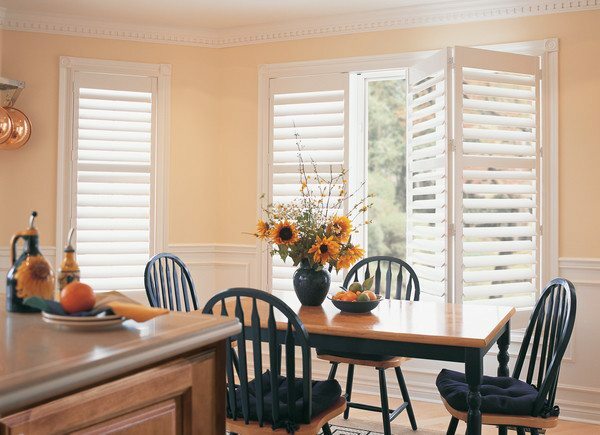 Palm Beach® Polysatin™ Shutters are perfect for hot and humid environments as the unique qualities guarantee that it will never warp, crack, fade, chip, peel or discolor. 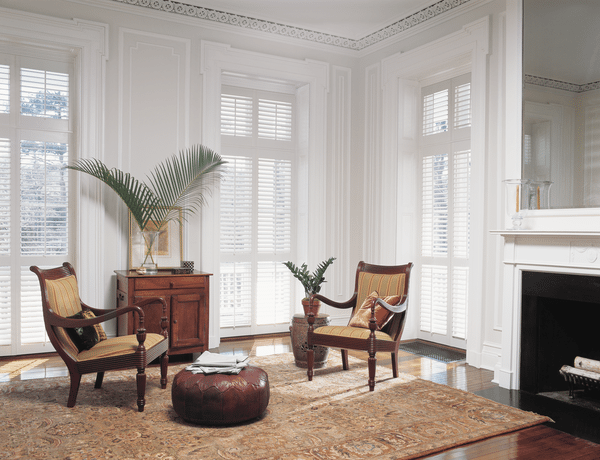 The Palm Beach® Polysatin Shutters offer exceptional craftsmanship, classic styling, complete privacy, and optimal light control. NewStyle® Hybrid Shutters are plantation-style shutters that combine traditional wood with the strength of modern-day materials. NewStyle® Hybrid Shutters are high quality and affordable, creating a versatile complement to any interior style. Parkland® Wood Blinds are beautiful and timeless. The rich hardwood from sustainable forests have smooth slats and traditional styling to compliment any room. Available in a variety of colors and three slat sizes, Parkland® Wood Binds are a lasting investment for your home. 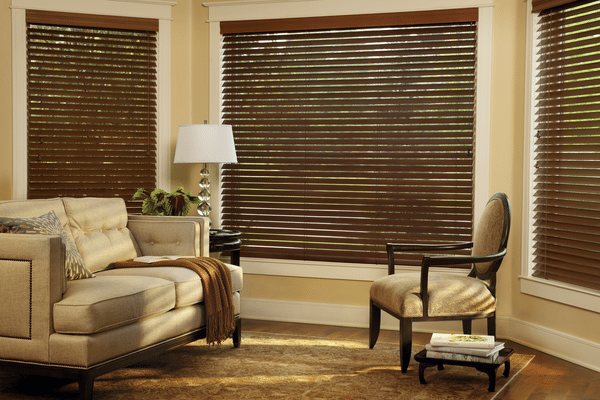 Consider adding decorative tapes or wood cornice to Parkland® wood blinds for a more complete window treatment look. Available in a large variety of slat colors to match your furniture or other decorative elements in your room. Alternative® Wood Blinds offer the classic look of traditional wood with the convenience of modern materials. Unlike traditional wood blinds, Alternative® wood doesn’t age. Available in realistic TruGrain®finishes or a large selection of solid colors. Alternative® Wood blinds are guaranteed against fading and warping, so they make the perfect addition for bathrooms and rooms which get a lot of sun or exposure to humidity. Ask about savings on faux wood blinds to accommodate your budget. The Alustra® Woven Textures® Collection is sourced from around the world to create truly special window treatments. The collection is made with unique textures, offering a stunning light-filtering alternative to solar screens and traditional woods. Alustra® Woven Textures are available in Roller Shades, Roman Shades, and Skyline® Gliding Window Panels. 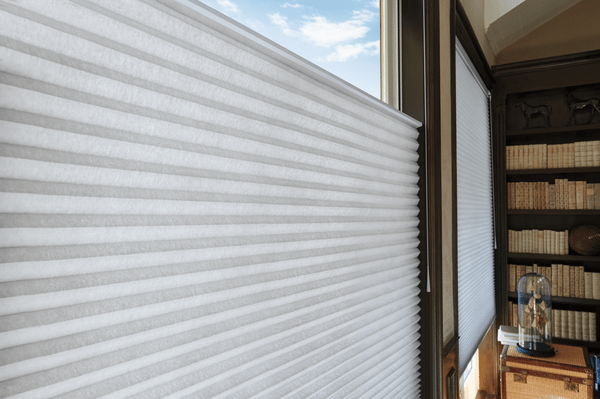 Silhouette® Window Shadings are brilliantly engineered with soft S-shaped vanes that appear to be floating between two sheer fabrics. Transform harsh sunlight into beautiful ambient light by simply tilting the vanes to achieve your desired level of light and privacy. Perfect for the home, with no cords or tapes for child and pet safety.